It's nearly the New Year so time to say thank you for all your support and interest in Stanley Rangers and looking forward to the new season in 2016. The draw for the Xamax BARLA National Youth and Junior Cups has now been made. The Under 16s have been given a bye and the other 1st round matches are to be played on the 17th January 2016. The Open Age team are having a raffle for a new kit for the new season. Tickets are £25 and there are 23 chances of winning. All of the opportunities below include advertisement in social media, reaching out to 1500+ Twitter followers and 240+ Facebook followers. The draw will be made on Boxing Day at the clubhouse so now is your chance to help the team and support our club. Please contact Richard Cattley, David Brown, Liam Crawley and Gareth Rawlinson. You can also email stanleyrangers@aol.com and your email will be forwarded to the team. All the above include a slot in the match day programme. 5-21. The 1-17 shirt sponsors in the match day programme. 22. Coach sponsor in the match day programme. 23. Physio sponsor in the match day programme. There will be a Boxing Day training session at the club at 11am, followed by drinks at the cluhouse and round the village. All players - past, present and new - are very welcome to join in. The Under 13s, Under 14s and Under 15s have been involved in the BARLA Yorkshire Cup and the Under 15s have now progressed to the semi finals of the Under 16s Cup, thanks to a closely-fought game against Stanningley which ended in a 24-20 win to Rangers. A minute's applause was held before the game and a collection for the Stanningley coach who sadly passed away earlier this month. It raised £49.08 which was given to the Stanningley team manager who is in charge of the fund raising. The next round is the semi finals and the Under 16s have drawn Shaw Cross away, to be played Sunday January 10th 2016. The other semi final is between East Hull and East Leeds. 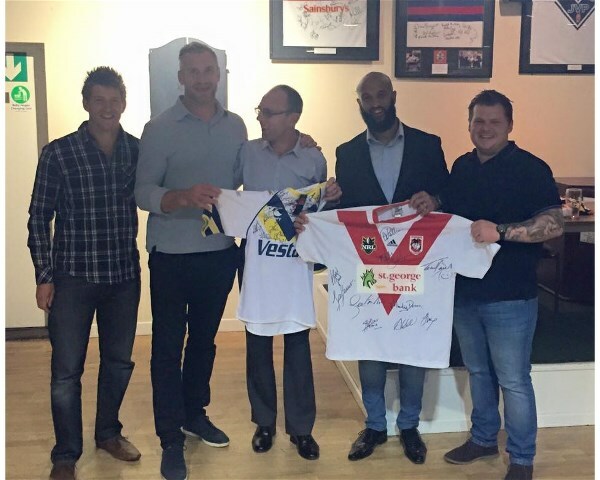 Stanley Rangers representatives were at he Yorkshire Junior and Youth 2015 Presentation Day on December 8th. Alex Simmons and the Rugby am team were present, filming and chatting to a few people. The U12s were unbeaten this season and won their division and Stanley Rangers members went to the dinner to collect the award. The film may be shown on December 23rd, although this is not confirmed but why not keep an eye out on Made in Leeds TV channel to see if it's showing. Our three junior teams that remain in the BARLA Yorkshire Youth and Junior Cup are playing this weekend. The teams are through to the quarter finals and all the games take place on Sunday 6th December. The Under 16s will be at home to Stanningley, the Under 15s travel to Siddal and the Under 14s will also be at home to Siddal. Please come along to Lee Moor and support the U16s and U14s, the first match will kick off at 10.30am. Your support will be greatly appreciated! Good results for our junior and youth teams in Round Two of the BARLA Yorkshire Youth and Junior Cup. the Under 16s beat Siddal 22-16; the Under 15s played at local rivals Eastmoor and came away 26-14 winners; the Under 14s beat Stanningley 32-10 and the Under 13s played at Stannningley 'A' but were beaten 32-18. In the quarter final draw, the Under 16s have been drawn at home against Stanningley , the Under 15s are to travel to Siddal and the Under 14s will play against Siddal at home. All games are to be played on the 6th December, kick off at 11.30am. Photos of the final home game for the 1st team in September against Millom are now online and can be seen on the match report page. After seven years Mark Robinson has announced he will be stepping down from his role as RNRL Seniors Captain. Mark himself explained that “I have achieved everything I ever wanted to or thought possible as captain, I can now concentrate on being a player again without the added strings of what being a captain is. Plus I think during this great era it would be fair to give someone else a shot at being Captain. It might be that impetus needed to win yet another IS title. I am honoured to handover the reins to a fellow ‘Wakey‘ and Stanley Rangers lad (LAET) Ben Taylor. Ben hs already achieved a Royal Navy Young Player of the year nomination, RNRL Man of Steel and Players Player awards. The second round draw for the Yorkshire Youth and Junior Cups has now been made and our teams' fixtures are as follows: the Under 16s received a bye in the 1st round and will now be at home to Siddal; the Under 15s had a good win over Hull side Lambwath and will now be in a local derby away at Eastmoor; the Under 14s who also had a good win over Dewsbury Celtic are now to travel to Stanningley and the Under 13s had a 1st round bye and will be away to Stanningley 'A' and the Under 12s will now play away at Stannningley 'A'. All the matches are to be played on the 22nd November, kick off 11.30am. As the Under 16s game will be at home for this match please come along and give the lads your support! The weekend's fixtures in the BARLA Yorkshire Cup 1st round produced good wins for our teams. The Under 14s beat Dewsbury Celtic 28-0 and the Under 15s beat Lambwath 38-18. The next round is to be played on the 22nd November and the draw will be made shortly. (Please note that in this cup the teams are playing in the age group above their present one so the fixtures and results will be shown on the existing age group team pages). The fixtures for the first round of the BARLA Yorkshire Youth and Junior Cups are to be played on Sunday 8th November. Rangers' teams involved are: the under 16s bye; the under 15s are at home to Hull side Lambwath; the Under 14s are also at home to Dewsbury Celtic and the under 13s have a bye. The games kick off at 11.00am. Please note that there will not be a bonfire night at the club on the 6th November as previously advertised. The Open Age Presentation evening at the clubhouse on Saturday 3rd October was attended by both open age teams, familieis and friends. 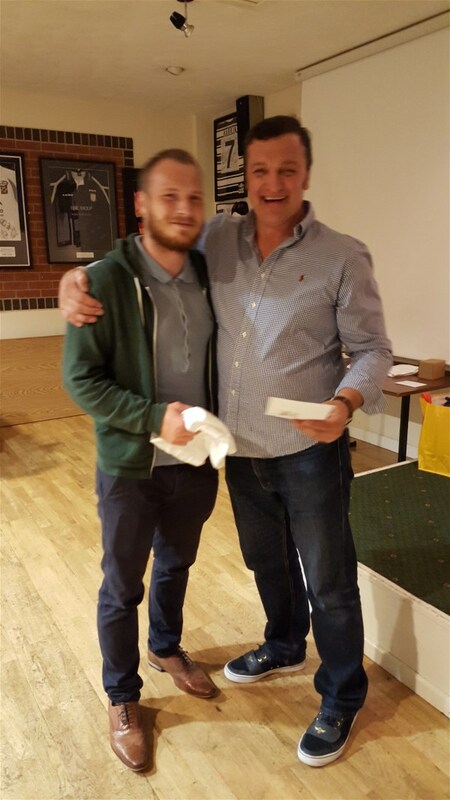 The 1st team Player of the Year was Shaun Abson and the 2nd team Player of the Year was Grant Susse. The Joe Tate Young Player of the Year went to Jack Ledger. Stanley Rangers final game of the season was against 7th place Dewsbury Celtic, the final score being 36-10 to Celtic. The home side led 16-0 at half time but Rangers fought back with tries by James Senkiw and Danny Grice who improved his own try with a successful conversion. The previous Saturday - 19th - Stanley were at home to second place Millom who proved the stronger side with a 28-14 win. 31st October - Halloween Party - Open Age players and families. 6th November - Bonfire Night at the club. Bonfire and fireworks beginning at 6.30pm. Come along and enjoy the fun! Dudley Hill eased into the play-offs with a last-gasp win over Stanley 21-16. It was all-square at 78 minutes but a drop goal from Hill's Simon Sewell and try from Bateman sealed the visitor's win. Stanley's points came from tries by Joel Marsh, Jamie Bell and Charlie Ledger with two goals kicked by Man of the Match Danny Grice. This Saturday Stanley are at home again to Millom currently second in the table. 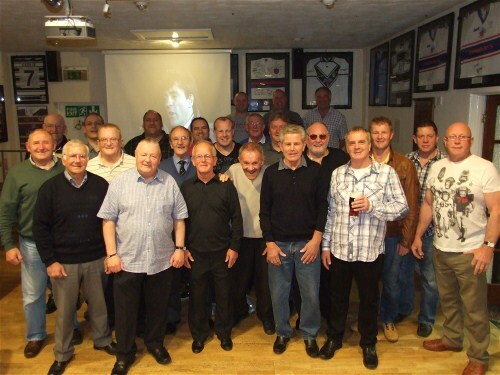 The kick off time is at 2.30pm and remember it's also past players reunion afternoon so if you played for Stanley Rangers are want to come and catch up with old faces - all are welcome. 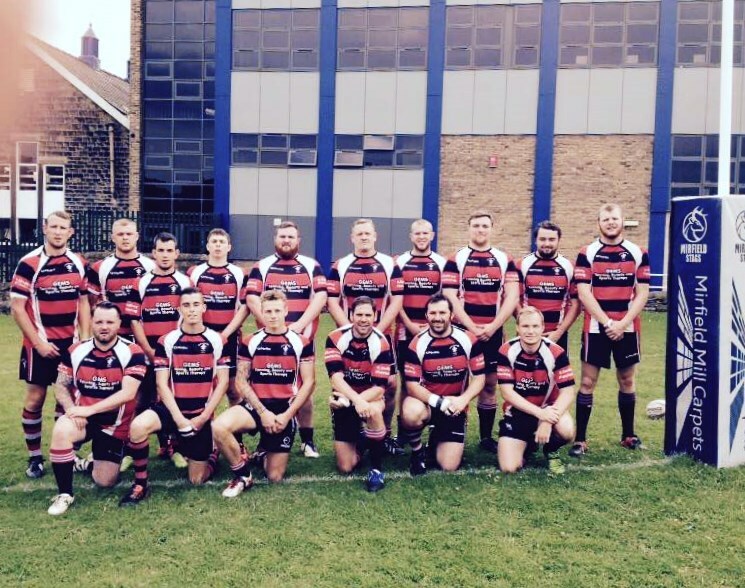 Stanley Rangers travelled to Leigh East on Saturday to take on the third-place team. Although leading 8-6 after 9 minutes, East prevailed consolidating their 46-14 win with a strong second half performance. Try scorers for Stanley were Jamie Bell, James Senkiw and Kieran Holt with a Danny Grice conversion. This weekend Stanley have a home fixture against Bradford Dudley Hill, kick off 2.30pm. Come along and support the team! The summer break has finished and the junior teams are now back in action. The Under 16s and Under 15s both played friendly matches and won. The Under 14s beat Milford Marlins U14s 46-4, the Under 13s beat 22-12 at Fryston Warrior and the Under 12s had a close win against Wetherby Bulldogs 22-18. This coming weekend, the Under 16s have a friendly home game against Castleford Panthers; the Under 15s also have a friendly at home to East Leeds; the Under 14s have an away Division Three game at Hunslet Warriors; the Under 13s are away at Newsome Panthers; the Under 12s are away at Oulton Raiders; the Under 11s travel to Methley Warriors; the Under 10s are away at Odsal Sedbergh; the Under 9s are at home against Odsal Sedbergh and the Under 8s are playing Shaw Cross Reds at home. A full weekend for all our junior players! Riess Butterworth from Stanley Rangers Under 16s has been made captain of the Yorkshire BARLA Under 17s team. This is a great achievement for Reiss and the club congratulates him and wishes him luck in his matches. The Under 16s celebrated the end of season with their final presentation evening at the clubhouse. From this team, Tom Sowerby and Charlie Hanson are going to Bradford Bulls, Ollie Jamieson and Connor Hampson moving to Huddersfield Giants and Matthew Hobson, Ryan Strafford, Reiss Butterworth, Jordan O'Neill, Charlie Holland to Featherstone Rovers. Stanley Rangers would like to invite all past players, new and old, up to Stanley Sports & Social Club on the 19th September 2015 for our last home game of the 2015 season against Millom. We want to try get as many old faces back up to the club as possible so would appreciate if whoever gets this invite passes the message on to whoever they can. The match will kick off at 2.30pm and the club will be open from midday til late. GREAT WIN FOR A TEAM! With no first team game at the weekend, it was the A team who took the honours at Mirfield Stags with a 38-20 win. The tries were scored by Jonny Karadzic, Shaun Abson, James Fox, Grant Susse, Grant Wynn, Jack Ledger, Rob Fox with 7 goals kicked by Danny Duce. The next fixture for the 1st team will be on September 5th away at Leigh East, currently 3rd in the Division Two table. 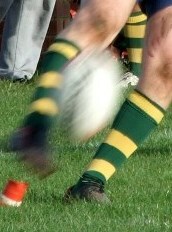 The only match played at the weekend was top place Millom who beat bottom-of-the-table Oldham St Annes 48-0. Millom are now two points clear at the top of the table and have the advantage of a game in hand over nearest rivals Featherstone Lions. The A team travelled to Garforth and lost 52 v 18 to the hosts. Try scorers for Stanley were Rhodes, R. Fox and a brace to Susse, with a goal to Abson. The next match is this Saturday - 22nd August - away at Mirfield Stags, , meet up at 12.30-45. Thomas Gant and Reiss Butterworth have been named in the Under 17s BARLA County Tri-Series Yorkshire squad by coaches Brett Turner and Trevor Penrose. The champion Yorkshire squad will take on Lancashire and Cumbria in the series which begins with a home game for Yorkshire against Lancashire at Sharlston on Sunday 29th October. Top-of-the-table Featherstone Lions proved too strong for Stanley Rangers. Rangers only points came from a try on the 28th minute through James Senkiw, giving a half time score of 4-38. The final 4-62 score moved Featherstone to the top of Division Two and Stanley 3rd from the bottom. Dudley Hill have moved up two places ahead of Stanley and Askam on points difference. There is no fixture this weekend but the A team have an away fixture at Garforth Tigers, kick off 2.30pm. The Open Age team are looking for help on match days - helping with the kit, serving tea and coffee before the match and food afterwards, someone to do game day tweets. All these jobs need help and to support the team and the club so if you feel you can help please email stanleyrangers@aol.com. Thank you. The junior teams have now finished their fixtures and will be enjoying a summer break before resuming in September. The Under 16s will be travelling to Siddal for a friendly match on Sunday 16th August, kick off at 11.30am. The A team will be playing against Cutsyke tomorrow evening - Wednesday 5th - with a 7.30pm kick off. Players need to meet at 6.30pm at the clubhouse. Blackbrook, fifth in the table, had a convincing win over Stanley Rangers on Saturday with Rangers limited to one try by Jordan Arthur in the first half. The final score was 48--4 to Blackbrook which keeps Stanley in 8th place in the table, fourth from the bottom. This coming weekend, Rangers are at home to 2nd place Featherstone Lions. Kick off is at 2.30pm and your support is very welcome. The weekend saw a highly enjoyable gala at the club for under 7s, under 8s and under 9s. Sunday the 2nd August saw teams from Crigglestone, Kippax and Newsome took part with the host sides in a day of rugby and fun. The A team's home fixture against Scarborough Piriates A on Saturday has now been postponed. The 1st team are away at Blackbrook. Stanley overcame a 20-0 deficit but it was visitor's Underbank Rangers, currently 4th in the table, who won 24-26 with a last-minute try by Allette and penalty by Knight. Stanley's points came from James Senkiw, Lee Brickwood, Carl Hughes and David Brown with four goals from Danny Grice. This result keeps Stanley in 7th place in Division Two. This weekend - 1st August - Stanley travel over the M62 to Blackbrook, kick off at 2.30pm. The A team will be at home to Scarborough Pirates A.
Rugby stars Jamie Peacock and Jamie Jones-Buchanan came to Stanley to star in the Sportsmans' Dinner at the clubhouse on Saturday 25th July. A full room enjoyed a question and answer session between the two Leeds stars, with a raffle, hog roast and auction. David Brown and Richard Cattley would like to thank everyone who came along and helped to make a hugely successful event. A close-fought match at neighbours Castleford Panthers ended with a win for Stanley 30-26. Stanley's points came from tries by Lee Brickwood, James Senkiw (2), Carl Hughes, Bell, Ledger and 3 goals to Danny Grice. Man of the Match award went to Carl Hughes.This win now moves Stanley into 7th place in the league table and further out of the danger zone. The next fixture is a home fixture this coming Saturday - 25th - against fourth-place Underbank Rangers. Kick off is at 2.30pm and your support will be appreciated. Well done to the Open Age team who beat Oldham St Annes 30-12 and moved out of the danger zone of bottom three position in the table and are now 8th. Stanley overcame a 10-12 deficit at half time to forge ahead with a further 20 points. First half points had come from tries by Danny Grice and Lee Brickwood and one conversion. The second half saw tries from Lee Brickwood, Richard Cattley, Joel Marsh and James Fox and a further three Grice goals. This coming weekend - 18th July - sees Stanley Rangers travel to close neighbours Castleford Panthers, currently second from bottom. The A team's fixture against Cutsyke Raiders was postponed and there is no fixture this Saturday. AN EVENING TO REMEMBER - DON'T MISS OUT! 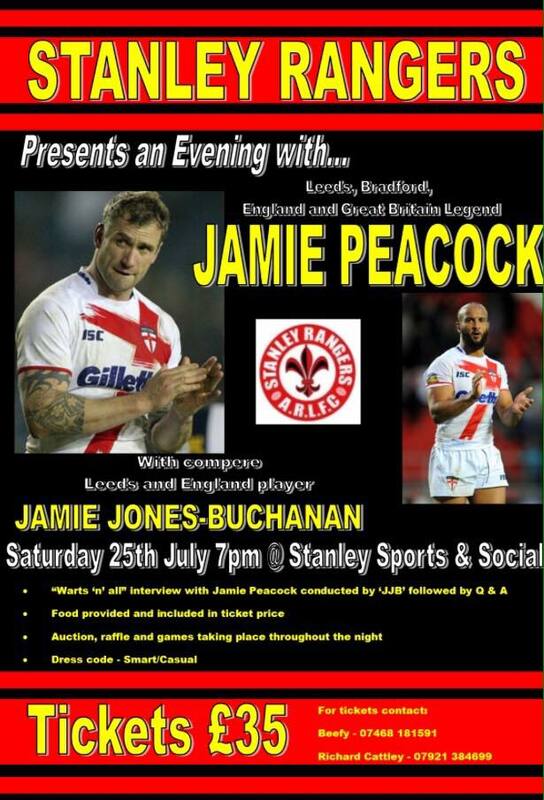 On Saturday July 25th there is going to be an evening with rugby league legend Jamie Peacock compered by Leeds and England team mate Jamie Jones-Buchanan. Tickets are still available price £35. Get in touch via Stanley Open Age's Facebook or ring David Brown on 07468 181591 or Richard Cattley on 07921 384699. On the night there will be an interview and Q & A session, Hog roast buffet, Auction, Raffle and Games. A night not to be missed! After a break for the Challenge Cup fixtures, the Open Age teams are back in action this coming weekend as Division Two games resume. On Saturday 11th, the 1st team are at home to Oldham St Annes, kick off 2.30pm. The A team are travelling the short trip to Cutsyke Raiders in Castleford. In the News this week, Mark Robinson, ex-Stanley player and now in the Royal Navy, opened the scoring for the GB Armed Forces in the first game of their Australian tour against Queensland Combined Universities. The hosts won 22-18 in a closely fought match. The Great Britain side will be playing the friendly curtain raiser for the third State of Origin game on Wednesday. Mark's two younger brothers, Craig and Adam, also came through Stanley Rangers and now play for Doncaster and Halifax respectively. 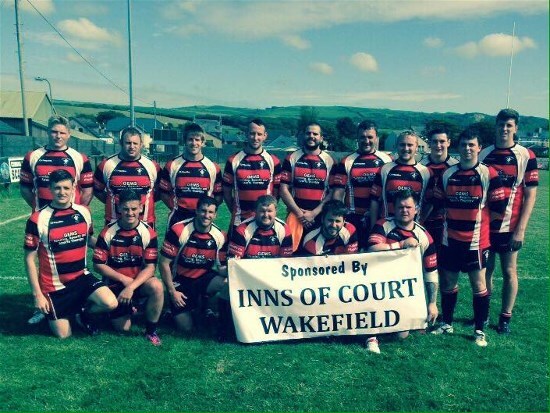 The 1st team headed over to Askam on Saturday but met a strong team who kept an 18-0 first half lead to win 30-10. Rangers second half points came from tries by Richard Cattley and David Brown with a goal from Danny Duce. There is no fixture this weekend. Many congratulations to our Under 13s who beat Underbank Rangees U13s 22-12 at Feattherstone Rovers ground on Saturday 27th June. The points came from Brad Graham (2), Brandon Marsh, Luke Green and 3 out of 4 goals to Brad Graham. 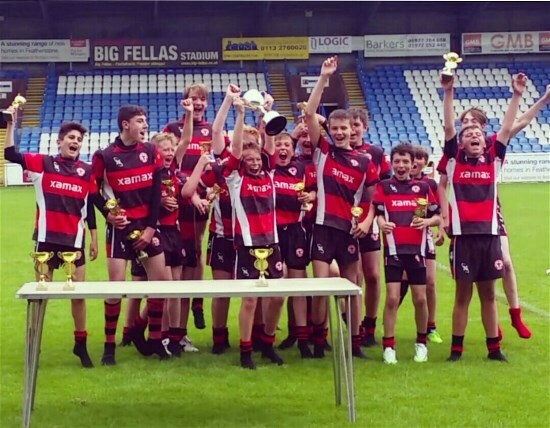 The Under 13s will be playing this Saturday - 27th June - in the Yorkshire Junior and Youth Cup Finals, in the Continuation Cup Final. The day's finals begin at Featherstone Rovers ground at 10.30am with the under 12s final and Rangers Under 13s are next against Underbank Rangers U13s, kicking off at 11.45am. We wish the boys lots of luck and hope they enjoy the day! The 1st team had a useful win against close rivals Dewsbury Celtic on Saturday, overcoming a 6-10 half time deficity.Joel Marsh (2), Oliver Tobin and Lee Brickwood picked up the Rangers tries with Danny Grice supplying a couple of goals. This coming wekeend - 27th June - Rangers take to the road to travel to Askam for a 2.30pm kick off. There were highs and lows in the Wakefield Cup Finals at Belle Vue on Wednesday evening. The Under 15s played first against Eastmoor Dragons U15s and won by 30-16. Man of the Match was Stanley Rangers Nathan Newbound. Following this match was the Under 16s Cup Final, again against Eastmoor Dragons. The U16s played well but were beaten by Eastmoor 26-6. The remaining two junior finals in the Wakefield & District ARL Cup Finals will be played at Belle Vue this Wednesday - the 17th June. Kick offs will be at 6pm for the Under 15s Final which features Eastmoor U15s v Stanley Rangers U15s and then at 7.30pm the Under 16s Final features Eastmoor U16s v Stanley Rangers U16s. Entry is £3 for adults and £1 for juniorts. Please go along and support our boys and we wish them all good luck to both our teams! Rangers had the long journey to Cumbria to face top-of-the-table Millom but found the home side too strong and were beaten 30-4. Joel Marsh scored Rangers only try and the Man of the Match went to Richard Cattley. This coming weekend - 20th June - the 1st team are at home to Dewsbury Celtic currently one position higher in the table and the A team are away to Scarborough Pirates A. Both games kick off at 2.30pm. The Under 14s will be holding a Race Night on Friday 19th June at 7pm in the clubhouse. Tickets are £10 and will include a hog roast salad and potatoes. There will be 8 races, a disco and a touch of magic ! Call Stewart Foster on 07880 384249 to reserve tickets and he will come up to the club to hand the tickets out over the weekend. Now's your chance to hear Jamie Peacock and Jamie Jones Buchanan speaking at the forthcoming Sportsmans Dinner to be held at the clubhouse on Saturday 25th June. This is a fantastic opportunity to hear two of rugby league's most entertaining stars and tickets include supper, a raffle and auction. The cost is £35 and to book your places please contact Richard Cattley and David Brown. After the weekend break, the 1st team are back in action, travelling to top-of-the-table Millom for their Division Two game on Saturday 13th June. Any supporters wishing to attend are more than welcome - 9:15am meet at the clubhouse. With no open age matches at the weekend it was our junior teams who were in action. 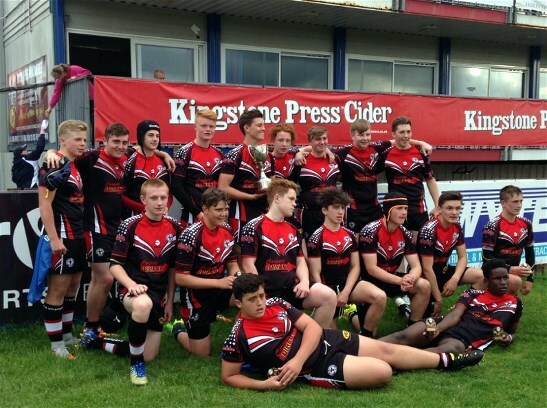 The Under 16s had faced West Hull in the semi final of the Challenge Cup and in a challenging game lost by 4-19. Coach Danny Duce was proud of the team's performance and took positives from the match. In the other cup game, the Under 13s were in the Continuation Cup semi final against Sheffield Hillsborough Hawks and came away 32-4 winners. The other semi final resulted in a win for Underbank Rangers 24-8 against Fryston Warriors. 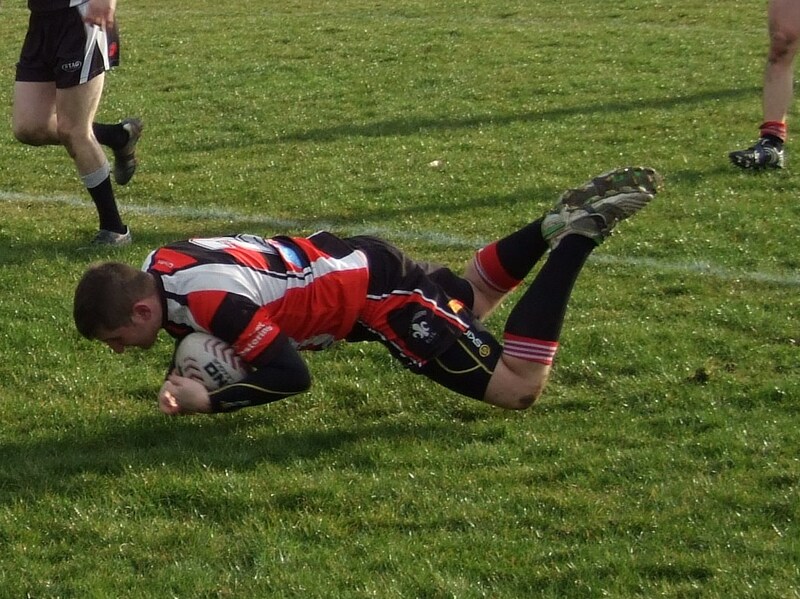 Third place Leigh East visited Stanley Rangers on Saturday but proved too strong for the hosts, winning 32-22. Rangers had fought back from being 26-6 down but the loss of Stanley's Jack Ledger on 65 minutes proved costly as Leigh moved past to finish winners. Stanley's points came from tries by McDermott, Brickwood, Ackroyd and Abson with three goals by Danny Grice. There is no fixture this Saturday and Stanley's next fixture is away at Millom on June 13th. A minutes silence was observed at the match in respect for the loss of former players Josh and George Griffin's father. All at Stanley Rangers thoughts are with you and your family. As part of the Magic Weekend, the half time intervals of each match were taken up with Sky Try games for under 8s teams. On Sunday, Stanley Rangers Under 8s played primary rules Sky Try against a team from Gateshead at half time of the Wakefield v Castleford game. Under the guidance of Emma King, both teams enjoyed their time on the pitch and afterwards paraded round the stadium to hearty applause from the crowds. All the team enjoyed the whole experience at such a big stadium stage - well done! The Challenge and Continuation Cups semi final draws have been made and our junior teams are involved. 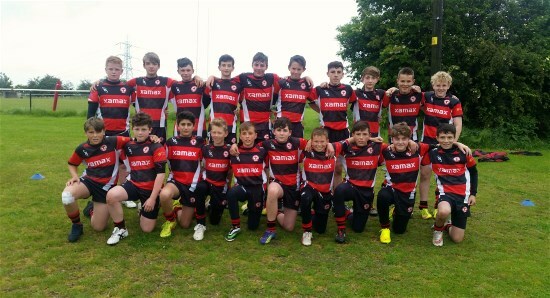 In the Under 13's Continuation Cup, Stanley Rangers U13s play Sheffield Hillsborough Hawks away on Saturday 6th June. The other semi final is Fryston v Underbank. In the Challenge Cup, the Under 16s are away at West Hull and the other semi final is Hunslet Warriors v Dewsbury Celtic. Good luck to both teams! A full weekend of fixtures beckons for Stanley Rangers. On Saturday 30th May, the 1st team are at home to Leigh East and the A team are also at home to Lock Lane A, both 2.30pm kick off. The junior teams are all busy with Saturday fixtures with the Under 13s away at Batley Boys; the Under 11s are at home to Meltham All Blacks and the Under 10s will also be at home to Odsal Sedbergh. On Sunday 31st May, the Under 16s will take on Brighouse Rangers at home; the Under 15s are away at Newsome Panthers; the Under 14s are also away at Dearne Valley Bulldogs; the Under 9s are playing at neighbours Eastmoor Dragons and the Under 7s are will be at home to Methley Warriors. Stanley Rangers A team travelled to Guiseley but were beaten by the Guiseley Rangers18-4. Stanley's points came from two tries from David Brown and a single to Morgan, along with three successful goal kicks from Shaun Abson. This coming weekend - 30th May - the A team are at home to Lock Lane A. Both Open Age teams were in action over the weekend with the 1st team away at Bradford Dudley Hill. The home side took control of the match, winning 52-10. Jamie Tait and Joe McDermott provided Stanley Rangers points, with Danny Grice adding a conversion. The 1st team will next be playing at home against Leigh East, currently 3rd in the table on May 30th. Kick off is at 2.30pm. The A team had a fine win 46-28 over visitors Mirfield Stags, A. which has moved them to the top of Division Four. They will be away at Guiseley Rangers this Saturday 23rd May, kicking off at 2.30pm. Congratulations to former Stanley Rangers players Matty English, Max Jowitt (pictureed left) and Lewis Heckford who have been named in the England Academy match against France U18s at the Stade Albert Domee in Carcassonne. The players have been among the squad training in Carcassonne last week under new coach Andy Kelly. Max is playing at Wakefield Trinity Wildcats, Matty is at Huddersfield Giants and Lewis is over at Wigan Warriors. Our Open Age teams both met strong teams last weekend and were unable to take any points. The 1st team were at home to Blackbrook who did not give up their lead despite a late flurry of points from Stanley. Tries from Richard Cattley, James Kynastone, Jack Ledger and Danny Grice, with three goals kicked by Danny Grice. This weekend - 16th May - travel to Bradford Dudley Hill, currently one place below them in the table. The A team had a tough match with Siddal B and lost by 78-18. Stanley Rangers junior teams had a good weekend with wins for all the teams. The Under 16s travelled to Drighlington and won 26-8; the Under 15s beat Shaw Cross Sharks 30-16; the Under 14s won against Kippax Wolves 32-10; the Under 13s won at home to Headingley Hawks 20-12 and the Under 12s had a big win away at Dewsbuy Moor 50-4. These excellent results move the teams up their division tables and the Under 12s are now top of their Division Two with four out of four wins. After last weekend's break fixtures resume for both the Open Age teams. The 1st team are at home on Saturday - 9th May - kick off 2.30pm whilst the Open Age A team will travel on Saturday to play Siddal B.
U12s AND U13s WIN FINALS! 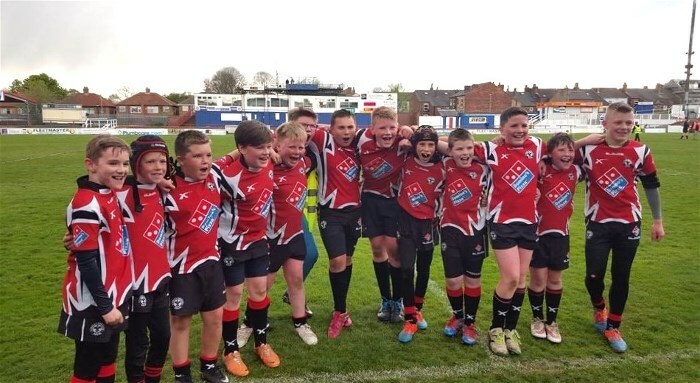 In a wonderful night at Belle Vue on the 29th April, Stanley Rangers Under 12s and Under 13 both won their finals of the Wakefield & District ARL Junior Finals. The Under 12s went with 12 players due to injuries but worked hard to play their way to victory, beating Upton Under 12s 24 - 12. The Under 13s went as under dogs being 2 divisions below Division One opponents Normanton Knights U13s. They took an early lead but Normanton fought back to level the scores with minutes to go. Stanley kept their cool and made a charge to the try line where a fantastic off load by Rangers number 8 Brad Grahamn allowed Luke Green to step through to score the winning try. Stanley won 26 - 22. Congratulations to both our teams on a great achievement! The A team had a good start to their new season with a 24-16 win over Garforth Tigers at Lee Moor at the weekend. The A team's points were contributed by tries from Abson, Dunn, C. Ledger and Tobin with 4 goals from Abson. This coming weekend - 2nd May - there is no 1st team fixture owing to Challenge Cup games. Great to see our junior teams in action at the Rapid Solicitors Stadium last night at the Wakefield Trinity Wildcats match against Wigan Warriors. The Under 7s, 8s and 9s were involved in curtain raiser games against Eastmoor Dragons, Heworth and Shaw Cross Sharks junior sides. As the match was televised on Sky, sharp-eyed viewers will have seen Rangers Under 7s leading out with the Trinity side at the start of the game. At half time all the teams did a well-deserved lap of honour around the pitch whilst the Under 7s with coach Emma King played Heworth at one end of the pitch. (For more information on the new system of playing for the Under 7s take a look at this page.) Well done to all our lads - you did the club proud! Title hopefuls Featherstone Lions proved too strong for Stanley Rangers and although Stanley fought back in the second half to reduce the first half score of 22-4 to 34-20 with 12 minutes to go, Lions powered on to finish 64-20 winners. Stanley's points came from two tries to Chris Grice and tries for Man of the Match James Senkiw and Jamie Bell, with two goals to Shaun Abson. There is no fixture for the first team this coming weekend but the Open Age A team begin their season with a home game against Garforth Tigers this Saturday 25th April, kick off 2.30pm. Stanley Rangers were at home to Askam last Saturday in a top-of-the-table tussle. Rangers won 16-6 which keeps them in the top five of Division Two, all clubs being on 6 points but with points differences. Joel Marsh, Danny Grice and Carl Hughes were the home sides try scorers, with Grice adding a couple of goals for good measure. The visitors were limited to a Mike Wilson try and Mark Tyson goal in response. This weekend Stanley travel the short distance to Featherstone Lions who are currently in third place. The Under 12s have now changed their training times and will be training is on Mondays and Thursdays at Thornes Park, 6pm - 7pm. Would you like to give rugby league a try? Stanley Rangers junior teams are looking for new players and offer a safe, friendly club with experienced coaches. Currently the under 8s, under 9s, under 10s, under 12s and under 14s are looking for new players so why not come along a give it a try! After the Easter break, it's back to business for rugby matches this coming weekend. The 1st team will be at home taking on Askam in their Division Two fixture whilst the A team will begin their season in Division Four of the Yorkshire Men's League on Saturday April 25th with a home tie against Garforth Tigers. The junior teams will resume their season at the weekend with Saturday games for the Under 13s at home to Guiseley Rangers; the Under 12s are away at Upton and the Under 10s are also away to Hunslet Warriors. On Sunday (12th) the Under 16s will be away at Drighlington, the Under 15s are at home to Oulton Vikings and the Under 14s will be playing in Round One of the Yorkshire Junior Challenge Cup match away against Siddal. Mixed results for our junior teams in their Yorkshire Challenge Cup fixtures. The Under 12s lost out 12-24 to Castleford Panthers; the Under 13s beat Guiseley Rangers 46-12; the Under 15s had a closely-fought win over neighbours Oulton Vikings 12-10 and the Under 16s beat Stanningley 18-0. The draw for the next rounds will be made shortly. If you're missing any of this season's match reports or news don't forget to go to the Archive News section where all the season's news is stored. You can even go back through past seasons or contact the website if you need any further information. Don't forget - the club website is YOUR website! If you're new to the great game of rugby league why not check out the rules of the game in the Rugby Extras section? You'll find the basics of the game explained and useful links to other rugby websites. Why not brush up your knowledge and find out some new facts in this section. After the first two wins of the season, Stanley travelled to Huddersfield but found Underbank Rangers too strong and came away 10-40. Rangers' points came from a four-minute try from Joel Marsh, converted by Danny Grice and a second half try by Jamie Bell. Last week, Rangers had a closely-fought match against Oldham St Annes and a late second half penalty successfully kicked by Danny Grice broke the 22-all deadlock and gave Stanley the two points. There is no match this weekend because of the Easter break and the next game will be on Saturday 11th April at home to Askam. In a closely-fought match Rangers came away from Oldham with a 24-22 win over Oldham St Annes. This keeps Stanley in the top three of the table with Askam and Millom. On Saturday - 28th March - Stanley again have an away fixture at Underbank Rangers, kick off 2.30pm. The 2015 Challenge and Continuation Cup draws have been made and the games are to be played on the 28th and 29th March. On Saturday 28th March, in Round 1, Rangers Under 12s are away to Guiseley Rangers and the Under 13s are also away at Guiseley Rangers. On Sunday 29th March, the Under 14s will be away to either Castleford Panthers or Siddal. In the Under 15's Challenge Cup preliminary round, Stanley Rangers are away to Oulton Vikings and finally, the Under 16s will also have an away Round 1 match at Stanningley. Good luck to all our teams. The Yorkshire Mens League season will begin on April 25th with Stanley Rangers A at home to Garforth Tigers. The next fixture is again at home on May 2nd against Huddersfield YMCA. Please remember - in the UK the clocks go forward 1 hour at 1am on the last Sunday in March, which means that the clocks go forward at 1am on Sunday 29th March. This will mean that those teams, players, parents and supporters who have fixtures on Sunday 29th March should make sure their clocks are altered to the correct time. Stanley Rangers put in a strong second half performance to break the 12-all draw at half time and come away 36-18 winners against Castleford Panthers in the first match of the season. Try scorers were Carl Hughes (2), Sean Abson, Chris Grice, Joel Marsh (2), James Bell and 4 goals to Danny Grice. This coming weekend Stanley travel across to Oldham St Annes, kick off at 2.30pm. 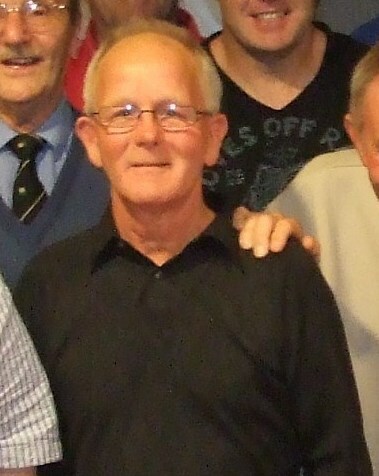 Sadness for Stanley Rangers with the passing last weekend of one of the club's great stalwarts, Joe Tate. As a member of the "backroom staff" at Stanley Joe could turn his hand to anything from collecting at the gate to retrieving lost balls from the back of the sticks. He will be sadly missed and Stanley Rangers send their condolences to his wife Margaret and son Richard. As a tribute to his dad, Richard will be running in the Leeds 10k on 12th July 2015 and will be looking for sponsors. He also has a number of shirts for sale and all the proceeds will go to St Gamma's Hospice. The funeral will be on Tuesday 24th March at St. Mary's Catholic Church, Rothwell at 12.15 and afterwards at Lofthouse Cemetery at 1pm. The funeral tea will be held at Lofthouse Gate WMC. Attached is a fine tribute to Joe by Barbara Rawlinson. After a truncated start to the new season, all four divisions of the Kingstone Press Cider National Conference League begins on Saturday 14th. Stanley Rangers Open Age will start with a home fixture against neighbours Castleford Panthers. The kick off is at 2.30pm and your support will be appreciated. Meanwhile the A team wait to begin their season as the Yorkshire Mens League Forty-20 Cup is currently playing. The junior teams will now begin their 2015 season this weekend. After all the pre-season training and hard work the teams can finally start their fixtures. On Saturday 7th the Under 13s are at home to Wyke, ko. 12.30; the Under 12s are away to Stanningley A; the Under 11s are also away at Batley Boys and the Under 10s are at home to Fryston Warriors. On Sunday 8th the Under 16s are travelling away to Dewsbury Celtic; the Under 15s will be at home to Siddal Bulldogs; the Under 14s travel to Dewsbury Moor; the Under 9s are at home to Thornhill Trojans whilst the Under 8s are away at West Leeds Eagles and finally the Under 7s will be away at neighbours Oulton Raiders. Good luck to all our teams! The Kingstone Press National Conference League kicks off this weekend with a number of Division One games on Saturday 7th. Stanley Rangers 1st team step into action on Saturday March 14th when the Division Two fixtures get underway at home to Castleford Panthers, kick off 2.30pm, with a get-together afterwards for all players, partners and staff etc. The A team will be in Division Four of the Yorkshire Mens League which will kick off on Saturday 25 April. The full fixtures list will appear shortly. Stanley Rangers have a long tradition of strong junior teams and cup progress and the new website section - Club Achievements - will celebrate this. During this coming season, we will be adding to this section so keep checking it out. In a closely-fought match Stanley Rangers U16s just lost out to the Oulton Invaders U16s 10-12 in Round Three of the BARLA National Cup. The boys put up a great performance which bodes well for the forthcoming season, kicking off on March 8th away at Dewsbury Celtic. The Under 16s have now reached Round Three of the BARLA National Cup. After a fine first round win over Castleford Panthers U16s 24-0, Rangers had a bye in the second round and now have a real derby game against neighbours Oulton Invaders on February 22nd at home, kick off at 12.00. Come along and support the Under 16s in their cup progress on the 22nd. Just a reminder that the Open Age administrator, Barbara Rawlinson, will be at the clubhouse tonight between 7-9pm for anyone who still needs to sign on. 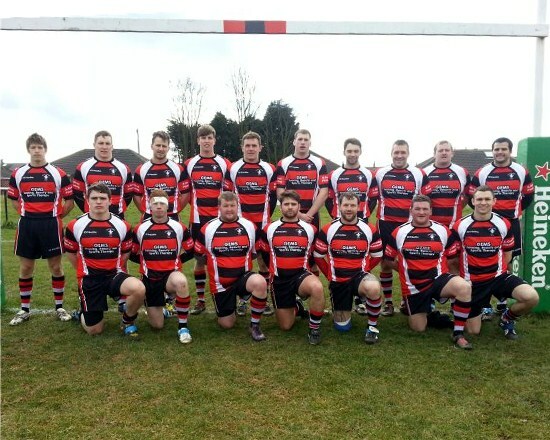 The structure of the Yorkshire Mens League 2015 campaign has been announced. There will be 10 teams each in the Premier Division and Division One and Divisions Two, Three and Four will comprise 8 sides who will meet home and away with the top teams being designated division champions. Stanley Rangers A team will be in Division Four which also includes Garforth Tigers, Guiseley Rangers, Huddersfield YMCA Tigers, Lock Lane, Mirfield Stags A, Scarborough Pirates A and Siddal A. Kick off for the Premier Division and Divisions One and Two is scheduled for Saturday 11 April and Divisions Three and Four will be on Saturday 25 April. The full fixtures list will appear shortly. Ovenden have withdrawn from the NCL with immediate effect. The Halifax-based side were set to take their place in Division Two this season but have now pulled out citing a lack of players and finance. The NCL Management Committee also confirmed that adding replacement would be highly unlikely and it would be likely to run with eleven teams in Division Two this season. Rangers Under 16s had a good win against neighbours Castleford Panthers U16s in the 1st round of the National Cup, winning 24-0. This excellent performance showed their potential for the forthcoming season.The team have been given a bye in the 2nd round against Askam. In the 3rd round draw Stanley have been drawn at home against neighbours Oulton Invaders.. The only other junior team in the National Cup were the Under 14s who met a determined Siddal side and lost 56-0. The first game of the season for the 1st team in Division Two of the Kingstone Press Cider National Conference League is at home to Castleford Panthers on the 14th March 2015, kick off 2.30pm. Afterwards there will be a get-together for all players, partners and staff etc. so make a note of this in your diary. Training continues this week on Thursday evening at 7.15pm at Robin Hood (behind the Coach & Horses pub, Leeds Road). The second team fixtures in the Yorkshire Mens League will be out later in the year.